In China, the China National Offshore Oil Corporation (CNOOC) and Shell Nanhai B.V. announced the official start-up of the second ethylene cracker at their Nanhai petrochemicals complex in Huizhou, Guangdong Province. The new ethylene cracker increases ethylene capacity at the complex by around 1.2 million tonnes per year, more than doubling the capacity of the complex, and benefits from integration with adjacent CNOOC refineries. The new facility will also include a styrene monomer and propylene oxide (SMPO) plant. In Argentina, we completed the sale of our Downstream business to Raízen. 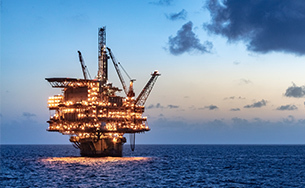 The business acquired by Raízen will continue the relationship with Shell through various commercial agreements, including long-term brand licence agreements as well as products supply and offtake contracts. In the USA, Shell Midstream Partners, L.P., sold approximately 36 million common units for total gross proceeds of $980 million. 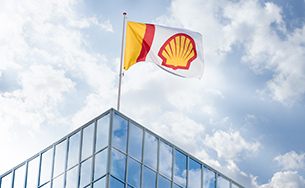 In Japan, we sold all our shares in Shell Chemicals Japan Limited to Uyeno; making Uyeno the branded distributor of Shell Chemicals products in Japan. In Pakistan we transferred 29% of our shareholding in Pakistan Refinery Limited (PKL) to Pakistan State Oil. We retain a shareholding of 4% in the Karachi Refinery. Shell’s Downstream anticipates delivering between $6 and $7 billion organic free cash flow by 2020 at $60 per barrel (real terms) and mid-cycle Downstream conditions. 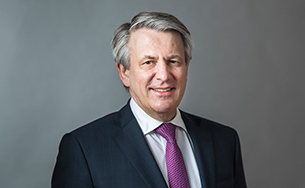 The organic free cash flow outlook is underpinned by uniquely integrated, differentiated, diversified and resilient businesses and market leadership positions. Our Oil Product businesses are expected to continue their earnings growth, predominantly from Marketing. Marketing is expected to deliver an incremental $2.5 billion in earnings by 2025 compared to 2017, an average annual growth rate of 6%. By 2025, we plan to materially increase the capital employed in these high return businesses. Returns on average capital employed are expected to remain between 10–15% in our Refining and Trading segment and to remain in excess of 20% in our Marketing business. While the base of Chemicals business is expected to come back to around 15% ROACE by 2025 with total ROACE depending on the total level of investment in Chemicals in the 2020s. The capital employed in these high return businesses will increase in line with our growth and resilience aspirations; by 30–35% in Oil Products and more than 50% in Chemicals. This is transformational and profitable growth. [A] Earnings and ROACE on CCS basis excluding identified items.